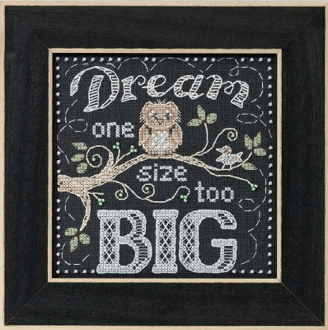 "Dream one size too Big". Stitch on the enclosed 28 count chalkboard black linen fabric. Design size: 5.25" x 5.25" (13.3 cm x 13.3 cm).